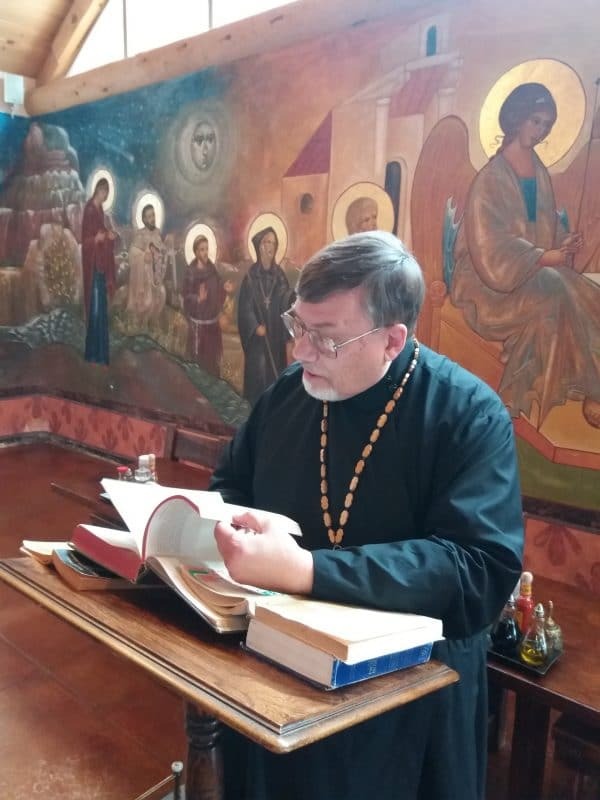 As part of our ongoing spiritual and monastic formation, our monastery has profited by the presence of Father David Anderson, an Eastern Catholic priest and Patristic scholar from Ukiah, California. 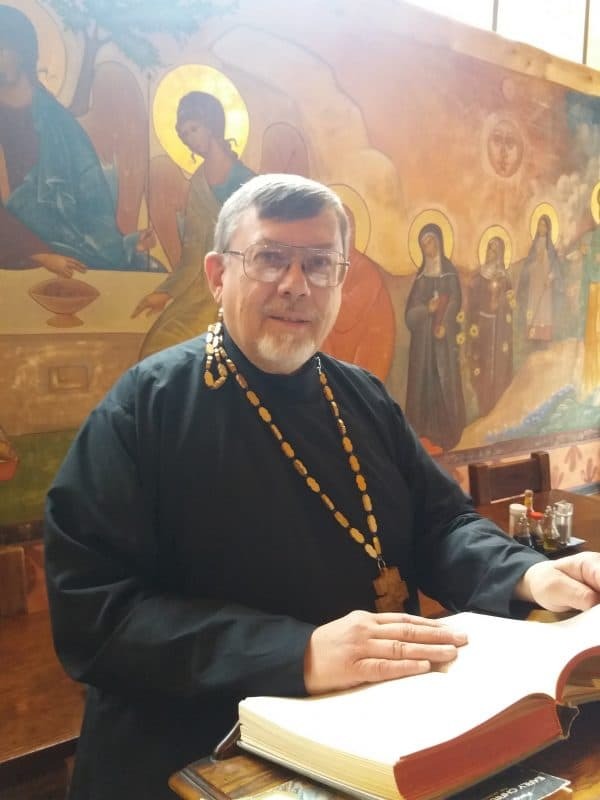 Father David serves as pastor at Saint Peter Eastern Catholic Mission in Ukiah, two hours north of San Francisco. 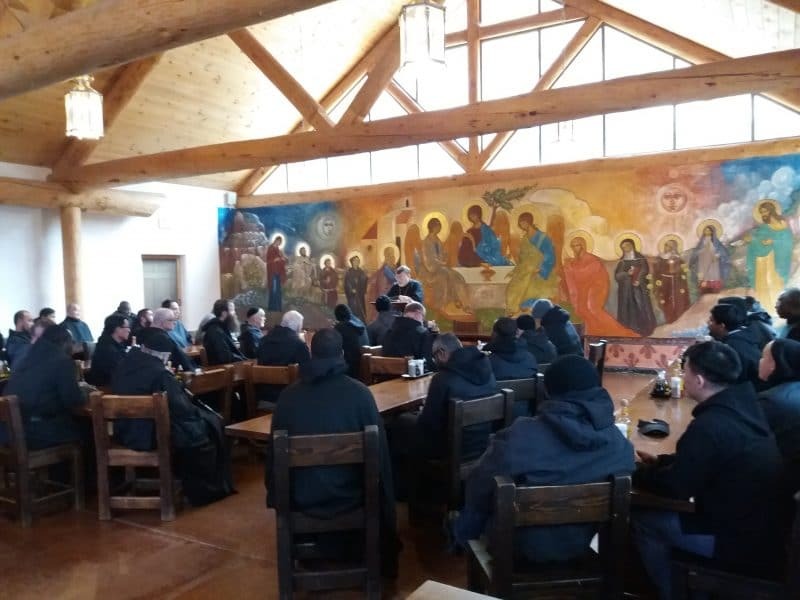 In addition to his pastoral duties, Father David lectures extensively in colleges, monasteries and religious houses in the United States and abroad. He has come to Christ in the Desert on several occasions over the past years to offer us lectures on Church History and the Fathers of the Church. This year of our Lord 2018 Father David Anderson is with us from January 14th to 18th, giving two lectures each day to the monastic community. Father’s topic this year is the early Fathers of the Church of the first three centuries. Father David’s wit and wisdom is much appreciated and keeps us transfixed as we grow in knowledge and love of our Catholic Church. Ad multos annos, Father David!